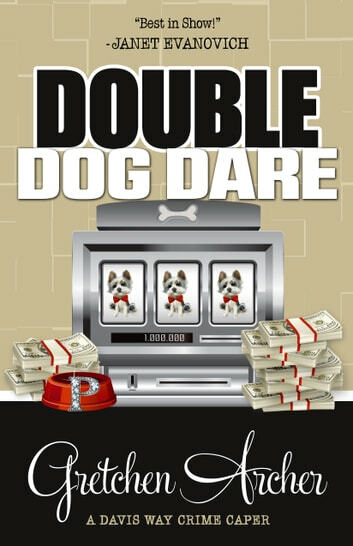 DOUBLE DOG DARE by Gretchen Archer | A Henery Press Mystery. If you like one, you’ll probably like them all. Gretchen Archer is a Tennessee housewife who began writing when her daughters, seeking higher educations, ran off and left her. She lives on Lookout Mountain with her husband, son, and a Yorkie named Bently. Double Whammy, her first Davis Way Crime Caper, was a Daphne du Maurier Award finalist and hit the USA TODAY Bestsellers List. Double Dog Dare is the seventh Davis Way Crime Caper. You can visit her at www.gretchenarcher.com. 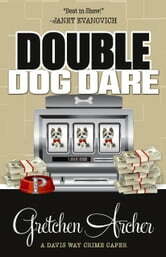 This book had a lot going on, with dog shows, dogs, criminals and kidnappers, but it had it’s funny moments, as expected. Davis has all sorts of people around her (family, friends, staff, guests, random others), all which make for a fun read. Look forward to the next instalment! Een boek dat je in een keer uitleest, met tranen over de wangen van het lachen.